Dance Fit - 8:30am-9:25am - Beth - Meet in the Aerobics room. Cardio Sculpt Fusion - 9:45-10:25am - Omar Salazar. Meet in the Aerobics. Yoga Express - 12:00-12:45pm - Elizabeth Oates. Meet in the Aerobics. Boxing on your Break - 12:00-1:00pm - Chris Goss. Meet in the Boxing room. Come experience a circuit training hour with the focus on kickboxing. A full body workout with an in depth cool down. You do not have to have any kickboxing experience to join in the fun. Cardio Boot Camp - 5:30-6:30pm - Gretchen Chiles. Meet in the Aerobics room. HIIT It Early - 5:30am-6:30am - Ross Coskrey - Meet in the Aerobics room. Fast paced class with a variety of cardio combinations to burn calories and tone up. All fitness levels welcome as all exercises will be modified. Yoga Vinyasa - 8:20 am-9:20am - Sara. Meet in the Aerobics room. Pilates/Barre - 9:30-10:25am - Amanda. Meet in the Aerobics room. Strength, Speed and Stability - 12:00-1:00pm - Madison Goss. Meet in the Weight room. This class is constantly changing and keeping you on your toes. Madison puts her personal techniques into the workout, to create a functional and sustainable body. You might get fast twitch muscular movements or breath work. Expect the unexpected. Primal Athletic Strength - 5:30-6:30pm - Alec Horvath. Meet in the Weight room. Expect a challenging full body workout incorporating strength, balance and stability. This class is for all fitness levels and will be a challenging fun environment. Yoga - 6:05pm-7:05pm - Arielle. Meet in the Aerobics room. Step Interval Cardio - 8:00-8:5oam - April. Meet in the Aerobics room. Barre - 8:50am-9:45am - Sara. Meet in the Aerobics room. Cardio Sculpt Fusion - 9:45-10:25am - Omar Salazar. Meet in the Aerobics room. Athletic Strength Training - 12:00-1:00pm Alec Horvath - Meet in the Lobby. Experience a full body workout using body weight movements, weight machines, bands, Kettlebells. Core, balance and stability will be covered. Yoga Express - 12:00-12:45pm - Amanda. Meet in the Aerobics room. Cardio Boot Camp - 5:30-6:35pm - Gretchen Chiles. Meet in the Aerobics room. HIIT It Early - 5:30am-6:30am - Ross Coskrey - Meet in the Aerobics room. High intensity workout focusing on endurance training. Tone your entire body and build your cardiovascular capacity with this fun and intense circuit training class. Yoga Fusion - 8:20am-9:20am - Sara. Meet in the Aerobics room. 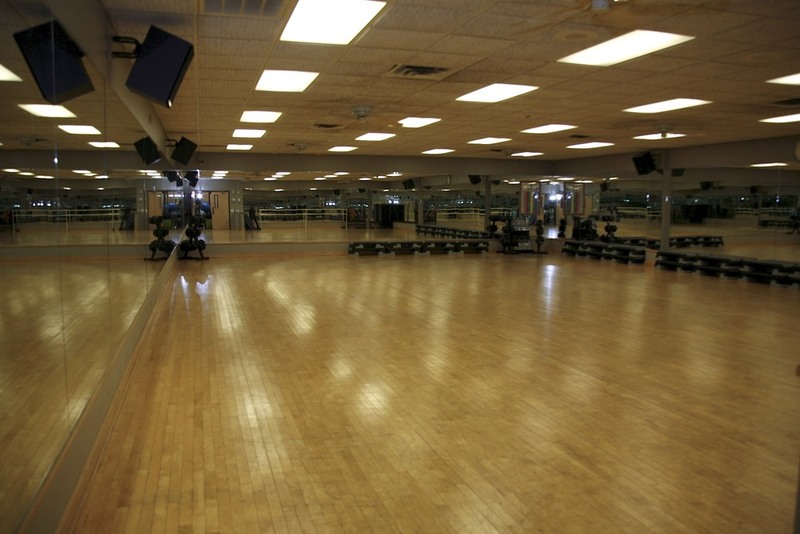 Pilates/Barre Circuit - 9:30-10:25am - Amanda - Meet in the Aerobics room. Cardio Conditioning - 12:00-1:00pm - Jenny McCormick. Meet in the Aerobics room. This class will test your cardio endurance. Starting with a dynamic warm up followed by 30 minutes of agility drills for all fitness levels. From beginners to advanced, this class will cover everyone. Core work and stretching will wrap up the last 15 minutes of class. H.I.I.T - 8:00-8:50am - Beth. Meet in the Aerobics room. Pilates - 8:50am-9:45am - Beth. Meet in the Aerobics room. Yoga Express - 12:00-12:45pm - Amanda . Meet in the Aerobics room. HIIT with Alec - Ross - Apr. 26th - 9:30am-10:30am - Come join Alec for a High Intensity Interval Training workout this Saturday. He will modify for all fitness levels. Yoga Vinyasa - 11:00am-12:00 noon - Amanda. Meet in the Aerobics room. Hot Yoga - 3:00pm-4:15pm - Amanda and Arielle alternate. Meet in the Aerobics room.